For some reason "I get it. I get it" is being said over and over in my head. I don't even know that song nor heard it before. I heard the hook I think. It had Rick Ross on it. Is my mind trying to tell me this something that Rick Ross would get? Wow, my mind is pretty mean. I eat it, I eat it. Well, that is what you do with this. BAW$E. Is that even how you spell it? 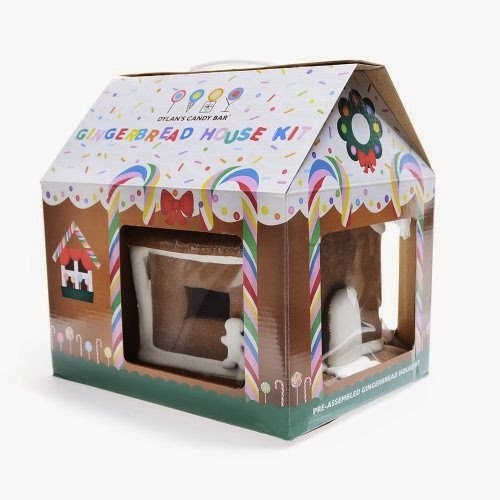 It's time to show-off your home decorating skills this season, with our Pre-Assembled Gingerbread House Kit! Everything is included for endless creative possibilities...inside you'll find lots of candies for decorating: mini Whirly Pops, Rainbow Starlight Mints, mini Rainbow Gumdrops, Jelly Beans, Christmas Candy Corn, mini Candy Canes, Icing, and Sprinkles. Ideal for a day of holiday family fun! Get you a house and tweet me a photo of yours. Click the ad to buy you one.